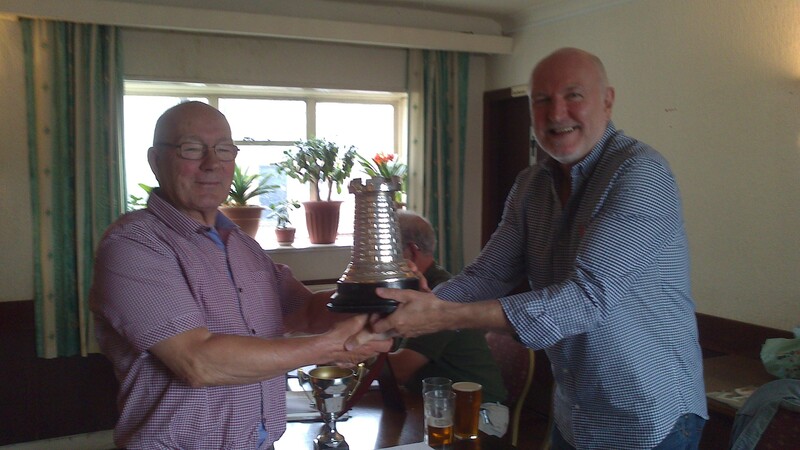 Barrow 2 have won the Whitaker Trophy, beating Ulverston in the Final by 1½ to ½. See the Whitaker Page for details. The results of the Cumbria Individuals can be seen here for the Major and here for the Minor. Also on the Archives Page. Thanks to Eggert for the Pictures and Andy for the results. Oh yes, and Peter for organising it all ! Barrow A have won the South League for the 5th year running. In fact they are the only team to win this League. The results after Saturday afternoon. Thanks to roving reporter Andy McAtear. The results after Friday night's round. Carlisle have won the Open League for the 3rd year running. to the County Chess Page. John Kelly has produced a Chess Quiz which you can all try. I was useless. Don't forget the Cumbria Individuals April 5th-7th 2019 at Shap ! Full details and the entry form can be seen here and on the Tournaments Page. The recent game between Maryport & Carlisle C was played a day outside the permitted time span. I initially awarded 0 points for each team as per the rules from the last EGM. There seems to have been some confusion over the time allowed. Please read the 1st paragraph at the top of the Fixtures Page, which has been there since the start of the season. I have now amended it. Because of the confusion I have allowed the match to count towards the League. Therefore from now on we will allow the Sunday as well, which is actually 4 weeks and 2 days. Dave Shaw - League Controller. The draw for the final of the Whitaker has taken place today at Barrow Chess Club and the final is between Barrow 2 & Ulverston. Please note that the last day for the matches to be played by is Saturday 27th April - ( Saturday 6th April is the Cumbria Individuals ) so plenty of time ! If enough players join and play I can consider running it on a weekly basis. If you think Saturday mornings might not be the best time for the majority of players just let me know. The 2019 55th Northumberland Chess Congress will be held on the 27th to the 29th September. There has been a game just added to the Games Page. Dave Cole v Martin Gawne in the recent Barrow A v Ulverston A league match. Sorry Dave ! Hope you don't mind the world seeing one of your rare failures. According to the latest ECF newsletter we may be moving to an ELO system from January 2020. Wow ! About time ! If you do not have a copy of the ECF newsletter you can see the relevant news here. There is a link to a consultation form which is open to all players to fill in. The 2019 Blackpool Congress will be held on the 8th to the 10th March. Full details and the entry form can be seen here and on the Blackpool Congress website. Also on the Tournaments Page. The January ECF grades have now been issued and can be seen on the ECF Grading page. The Top 10 grades - not including non-ECF and/or players who have not played any Cumbria games. Congragulations to Stavros & Robin on leading the table ! by making a donation and spreading the word. Chester Chess Club are holding a rapidplay on Sunday 7th April. 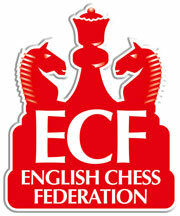 ECF grades are used if no current FIDE rating. More details and the entry form can be seen here. I was asked recently what is the procedure to follow if a player is not recording the moves. After some investigation and emails to the ECF I have produced the following notes. According to the Fide Laws of Chess at 8.1.1 - In the course of play each player is required to record his/her own moves and those of his/her opponent in the correct manner, move after move, as clearly and legibly as possible, in the algebraic notation (Appendix C), on the score sheet prescribed for the competition. • Step 1. The opponent should ask the player to keep his score sheet up to date. • Step 2. A captain should ask the player to keep the scoresheet up to date. • For a first offence this would normally only be a verbal warning and the scoresheet brought up to date on the player’s own time. We have never had a problem with this matter in the past, and I sincerely hope that Step 1. above will resolve any problem. However, there are some things to take from the above notes. If 2 players cannot resolve a dispute between themselves then the captains have to act to some extent as arbiters. Our own Constitution states at 4 (1) g) - In the event of a dispute the matter shall be referred to the team captains for a decision; if they fail to agree, the matter shall be referred to the League Controller for a decision. So I suggest that Team captains ( or Club Secretaries ) read and print the following documents and make sure copies are available during matches. I would think that disputes involving Quickplay finishes are more common, so I will attempt to issue some guidelines for these after the New Year. The 2019 South Lakes Congress will be held at the Kendal Leisure Centre on the 7th to the 9th June. The draw for the semi-finals of the Whitaker has taken place today assisted by Andy McAteer and can be seen on the Whitaker Page. Please note that the last day for the matches to be played by is Saturday 16th February so plenty of time ! The entry form for the Cumbria Individuals April 5th-7th 2019 has now been produced. The English Federation are organising a Memorial tournament for John Toothill whom you knew well. Although he hadn't played correspondence chess for quite some time, his CC achievements in the 1970's & 1980's deserve recognition. In view of his connection with Cumbria, we felt it was appropriate to ask the Cumbria Chess Association if they would like to nominate someone to take part? The tournament will be 13 players, played on the ICCF server, starting December 2018 with 10 moves in 40 days time control. It will be a Minor Category tournament so players will be rated in the region 2100-2200. ICCF Title Norms will be available (CCE & CCM). I know it is unlikely you will find someone wishing to play CC but you never know! Could you let me know by 3 November at the latest please? That gives me time to ask others if you are unable to find a player. The Results for the Cumbria Team Rapid Play held at the Crown Hotel, Eamont Bridge, Penrith on Saturday 13th October can be seen below and on the Tournaments Page. If enough teams enter a particular section, there could be a jamboree event at a central venue, if the teams agree. A third team entering from the same club would only pay £5. A team comprising three juniors free to enter. or enter online from the www.nccu.org.uk website. The draw for the Round 2 of the Whitaker has taken place this evening assisted by Andy McAteer and can be seen on the Whitaker Page. Please note that games have to be played prior to, or within 4 weeks and 1 day of the fixture date as in the Open League. So the last day for Round 2 matches to be played by is by Saturday 8th December so plenty of time ! It has been brought to my attention that, as Cumbria have a team only in the under 160 section, some players, despite being willing, are unable to participate in inter-county matches. Therefore, if enough Cumbria players are interested (at least 16) and assuming that no one else wants to do it, I would be willing to arrange the matches. Naturally, as I'm crap at chess, I would be a non-playing Captain. As it is to be an Open team, it isn't necessary to be graded 160 or over, anyone can play but obviously, the team would primarily be intended for those who are ineligible for the U160. If you or any of your club members are interested, please contact me. Please be aware that the organiser will be expecting entries imminently, so the sooner I get replies, the sooner I know whether or not we can enter a team. Please be aware that I have removed telephone numbers from the County Officers and the Clubs pages. This is because I noticed that on our web site some numbers were showing up as a link. I was rather alarmed by this, thinking how some nasty people may be latching on to them somehow. I am guessing that we did not really need them, however if you really want your number up there just let me know. Also, for those of you who do not already know, the email addresses are not text but pictures, again to frustrate the baddies. 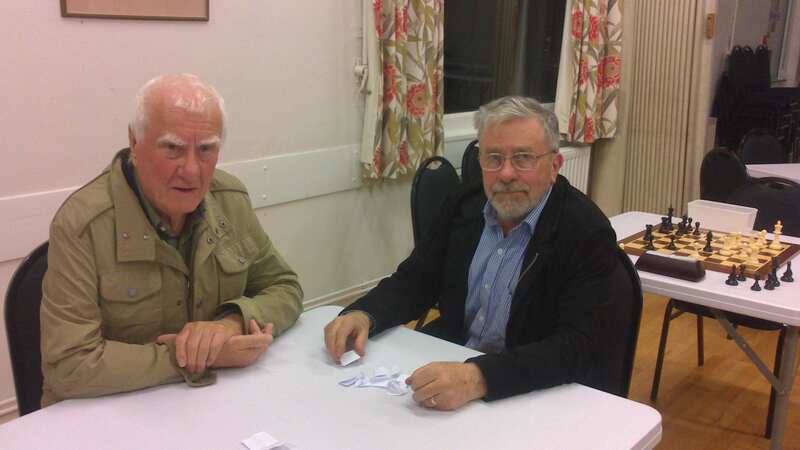 The draw for the first round of the Whitaker took place at Kendal Chess Club this evening by Ken Jackson & David Dean and can be seen on the Whitaker Page. Please note that games have to be played prior to, or within 4 weeks and 1 day of the fixture date as in the Open League. So the last day for Round 1 matches to be played by is Saturday 27th October. Phil Walters has suggested that anyone looking for a digital chess clock should have a look at the Leap Digital Chess Clock (FIDE Approved) sold by Chess Direct. The Cumbria Team Rapid Play for 2018 will be held at the Crown Hotel, Eamont Bridge, Penrith on Saturday 13th October. Following the EGM the Constitution has the following changes. 4(2) f) For the Club Open League the fixture must be played prior to the fixture date or within 4 weeks and 1 day of that date. For the Cumbria South League, matches shall be played as near as can be agreed to the stipulated date. 4(2) g) Exceptions to rule f above will require the permission of the League Controller. Shortage of available players or non-availability of the normal playing venue shall not constitute a reason for the match not be arranged within the stipulated time. 4(2) h) In order to establish the date upon which a fixture will be played the home team captain must contact the away team captain prior to the fixture date with the intention of agreeing a match date. If a mutually agreed date cannot be made the home team captain should formally offer two reasonable dates, one of which the away team captain should accept. If the match is not played within the stipulated period and no team has a win by default, then no points are scored for either team unless the League Controller has already agreed an exception. 4 (3) c) The match date shall be arranged between the captains of the two teams on the same basis as for fixtures played in the Club Open League as set out in rules 4(2)f to 4(2)h above. See the whole document here and on the Library Page. We do need rules, but our outlook is as always one of mutual consideration. Some teams may struggle this year and may need help. I urge captains to contact each other to arrange matches at the earliest convenience and in keeping with the spirit and co-operation shown by all clubs at the Special General Meeting. The fixtures can be seen on the Fixtures Page. Sorry to report that Sasra have had to drop out. Barrow have replaced them in the fixtures. For the Open League, and the Whitaker, games are to be played prior to, or within 4 weeks and 1 day of the fixture date. The following email has been received from Matt Bridgemann - who once played at Kendal for a few weeks with his daughter Niamh. Niamh has recently been selected to play at the World Cadets Championship in Santiago De Compostela, Spain between the 3rd and 16th November. She'll be going in the 11 round, Under 12 Girls event. We've put together a crowd funding page at the Just Giving website to help fund the trip. The ECF have provided an estimated cost, not including flights, of over £2800 for Niamh and an accompanying adult to attend the championship. Pretty steep! If you and Bill could perhaps arrange for the link to be put on the Lancashire and Cumbria Chess websites (and Twitter) it might help Niamh's cause. I have done the fixtures early this year as I am away from Wednesday 29th August until Wednesday 5th September and the first fixture date for the Open League is on Saturday 15th September. See the Fixtures Page. That does not allow much time, so if the rules still say that the Home Captain has to contact the away team 2 weeks before fixture date, I think that for this first fixture we will have to be flexible and just do the best we can. I may have to change some things depending on what is decided at the Special General Meeting. In conformance with the Cumbria Chess Association Constitution, I attach an agenda providing 14 days notice of a Special General Meeting of the Association which has been requested by more than 12 Association members representing more than 3 affiliated clubs. The meeting will be held Saturday 1st September as the Crown Hotel at Eamont Bridge commencing at 2pm. The single agenda item will be to discuss proposals to change the rules for establishing the dates upon which fixtures in the Open League will be played. The current rules in section 4 or the Constitution were put in place following decisions taken at the 2018 Annual General Meeting. The current version of the Constitution is available on the Association website. As at Annual General Meetings, voting at the Special General Meeting will be by show of hands of those present. This notice will also be posted on the Association website. Club Secretaries to post their club Membership list, Cumbria and ECF Membership fees (where appropriate) to the Cumbria Membership Secretary. See the form here and on the Library Page, for full details. County Chess and Games Page. Please note that Andy McAtear is now running the County Chess Page and the Games Page. These are not under CumbriaChess.com so there is a very small delay. Please send Andy any games for publishing. I am sure he will be pestering you all in the near future ! The July ECF grades have now been issued and can be seen on the ECF Grading page. Congragulations to Stavros on leading the table ( again ) ! John Lydon from Carlisle Chess Club is now working with the Chess in Schools programme and has made a start with Upperby School in Carlisle. He would like to draw attention to the Chess in Schools website. Please have a look. Chess in Schools and Communities (CSC) is a UK charity whose mission is to improve childrenâ€ââ€Å¾¢s educational outcomes and social development by introducing them to the game of chess. Founded in 2009, we now teach in over 300 schools and support 500 more nationwide. We also organise a world-class tournament, the London Chess Classic. The 2017 constitution has been released and can be seen here, and on the Library Page. In the Whitaker the away teams will have White on odd boards as in League matches. Clive Hutchby of Keswick takes the post of Publicity Officer. The grades to be eligible for the Greenhalgh trophy of the Cumbria Individuals is to be set by the championship organiser in future. Proposals put forward at the AGM require a seconder which must not come from the same club as the originator of the motion. Amendments to the motion must be related to and not alter the original intention of the motion, to be valid. For the Open League and the Whitaker, the stipulated fixture dates shall be on an appropriate Saturday and the fixture must be played on that date or within the 6 days following that date. For the Cumbria South League, matches shall be played as near as can be agreed to the stipulated date. Exceptions to the rule above will require the permission of the League Controller. Shortage of available players or non-availability of the normal playing venue shall not constitute a reason for the match not be arranged within the stipulated time. The home team captain must contact the away team captain at least two weeks before the stipulated fixture date to try and agree a date and offering at least one date. If this does not occur then the away team captain can claim the match by default. The away team captain must respond at least one week before the stipulated fixture date, accepting an offered date or to negotiate with the home team captain another mutually agreeable date. If this does not occur then the home team captain can claim the match by default. The offered dates should be on the basis of a 1pm or 2pm start for matches to be played at a weekend or 7pm or 7:30pm for matches to be played on weekday or other times by mutual agreement. For the purposes of the above rules, email is a valid form of contact and where possible documentary evidence should be retained in support of any potential default claim. If the game is played more than 6 days after the original fixture date no points shall be scored for either team unless the League Controller has already agreed an exception. I shall give examples of the above in the next few weeks. An Open League v South League match was suggested. The Cumbria Individuals for 2019 will be held at Shap Memorial Hall on the weekend of 5th-7th of April. Full details and the entry form here. Note. A list of tournaments including junior ones can be seen on the Tournaments Page. 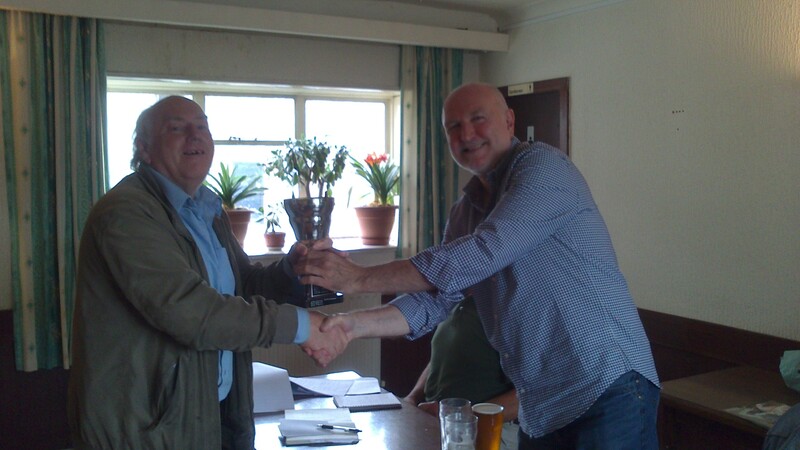 John Kelly of Carlisle has created a Cumbria Chess Association Online Club at Chess.com and can be accessed here. Are you a Cumbrian Chess Player? Then join our online club to play and chat with fellow players across Cumbria. Login, let us know who you are and request membership to access our Tournaments, Matches and Forums. The main amendment is that for the Open League and the Whitaker all matches are to be played in the week designated by the fixtures. Details will be decided before the start of next season. Barrow A won the South League. Penrith 1 won the Whitaker. Dave Siddall won the Cumbria Individual. The latest NCCU AGM minutes can be seen here, and on the Library Page. Our AGM is next Saturday 23rd June at the Crown Hotel, Eamont Bridge 2pm. Note(i) The Cumbria prize cannot be shared and goes to the lowest grade on the same points. For full results see here and on the Tournaments Page. Carlisle world chess tour reaches the South Lakes. The following email was sent to Cumbria Chess Secretaries on the 5th May. Hopefully all Cumbria Club members have all received it ! If not, please let me and your secretary know. 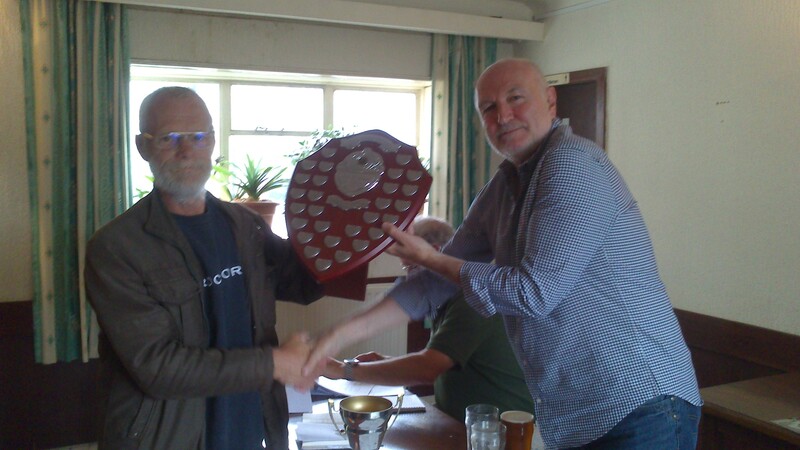 The 2018 Annual General Meeting of the Cumbria Chess Association will take place on Saturday 23rd June at the Crown Hotel, Eamont Bridge commencing at 2pm. Please let me know before 31st May of any proposals for change or other items that your Club would like to be included in the agenda. The final meeting agenda will be circulated in the first week of June. See League Tables for full details. See ECF Grading page for grades. The Clubs Page has a link to grades for each club. 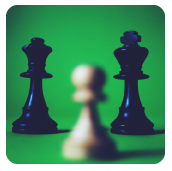 Join Cumbria Chess Online Club here.